Rank: #6 out of 179. 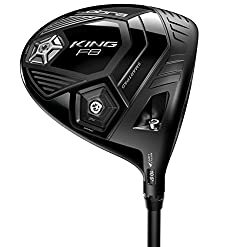 Cobra King F8 is a very popular option in the middle of the golf club drivers price range. It's in the top 3 bestselling golf club drivers and has dozens of popular alternatives in the same price range, such as TaylorMade R15 430 TP or Srixon Z 545 . Cobra King F8 is $0.92 more expensive than the average golf club driver ($199).